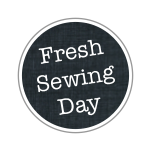 I love how a good weekly or monthly linky party like Fresh Sewing Day at Lily's Quilts makes me feel a tad bit less scattered. I can look back at the previous mosaic and get a feel for the time-line since really I have no natural sense of time (or direction). The Old Italian Block quilt made an appearance as a top and a back last time and since then, it was completed, hung in the SBAMQG show and is ready to be given away. Last time only one set of Granny's were finished and now it's almost time to get my swapped blocks back in the mail. Yes, this linky love feels like I'm moving forward. Plus... two items are secret and couldn't be included so maybe I'll bend the rule for October and include them then. The heat wave is making Fall very unreal. We have typically nice weather in October but not 90s. Sewing Summit is finally close enough to project the 10-day forecast and I just might get away with my California wardrobe there too! 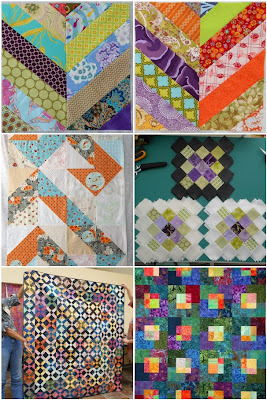 A spot opened up last minute for the advanced foundation paper piecing class with Lee of Freshly Pieced and Elizabeth of Don't Call me Betsy (two of my favorite bloggers) so now I've just got to get my injured finger to heal quick enough to not be a fumbling dork! And huge news - Joel Dewberry is one of the key note speaker's!! Im jealous of your summit! I love Freshly Pieced too! 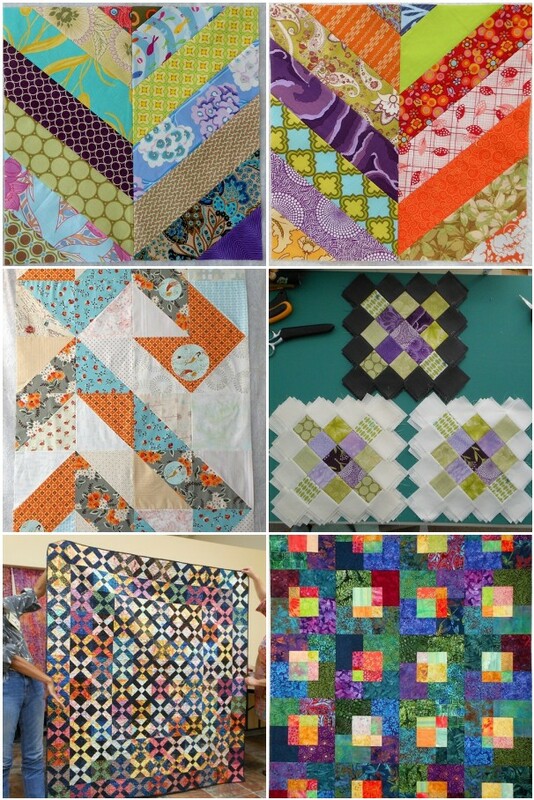 Your quilt on the bottom left is gorgeous! Lots of work!